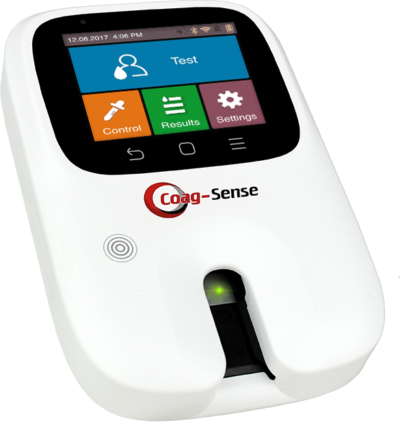 The Coag-Sense™ PT2 4 Box Bundle is available to NEW Coag-Sense Healthcare Professionals Only! 3-Day Shipping Required – Must select 3-Day Shipping at checkout. The Coag-Sense® PT/INR Monitoring System represents a breakthrough in point-of-care prothrombin time monitoring technology by miniaturizing and simplifying a direct mechanical means of detecting clot formation. 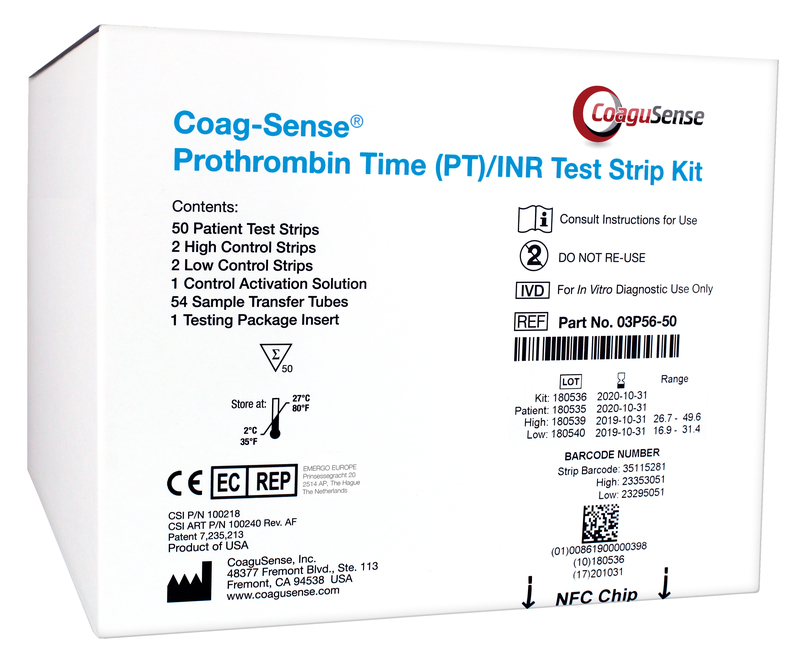 Coag-Sense® is the only true prothrombin timer on the market. 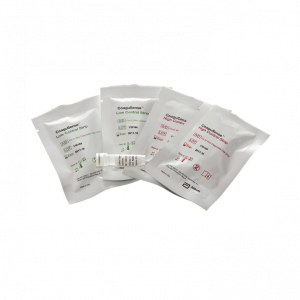 Now you can get direct clot detection PT/INR technology in a sleek little package with all the bells and whistles including Wi-Fi, Bluetooth®, Near Field Connectivity (NFC) and a color touch screen to control it all. 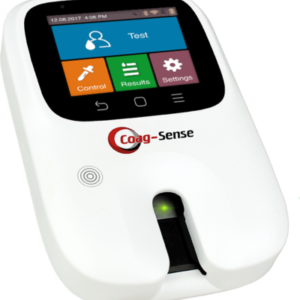 Coag-Sense is the first portable system to directly detect the clot formation and thus is not sensitive to hemoglobin and hematocrit levels. 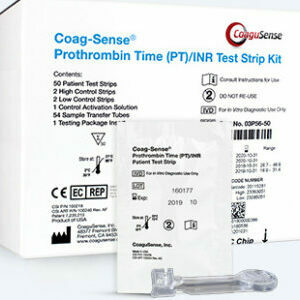 It also offers the best precision available in a portable point-of-care PT/INR device with CV 2.5%.